Editor’s Note: I’ve always wanted to pull a mountain lion’s tail. Why? I don’t know. I guess because I’ve never had the opportunity to do it. 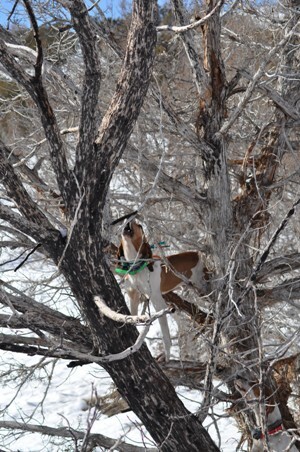 Mossy Oak prostaffer and avid hunter Lynn Worwood of Nephi, Utah, has had the opportunity. 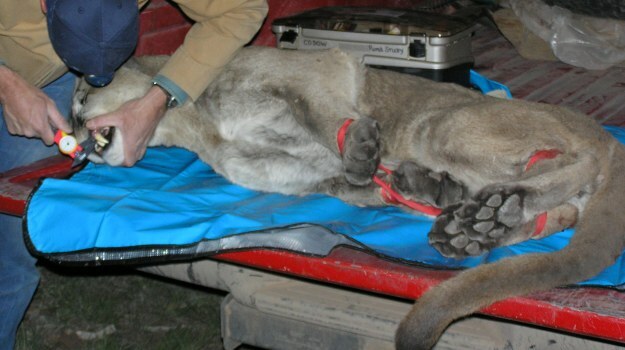 He’s also been with other people when they’ve pulled mountain lions’ tails. 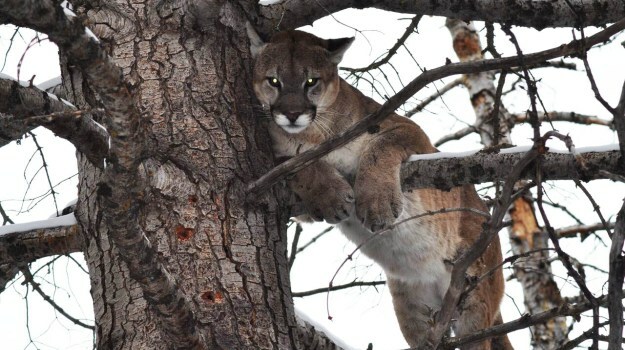 This week, Worwood gives us some insight on mountain lion hunting. I worked with an older gentleman who hunted lions, and I thought that was an intriguing idea. I really thought it would be something cool to do. I was 20 years old when I was invited by my future father-in-law to go on my first mountain lion hunt. I invited the the guy I worked with, Doug York, who had Walker hounds. On that first hunt, we rode horses and covered a lot of country, but we never crossed a lion track. Because I had hunted most of my life, I wasn’t disappointed. Most people I knew had never seen a mountain lion or its track. On my second hunt, we treed a lion. None of us had a tag on that hunt, and we weren’t hunting to try and take a lion. I took about 30 pictures before we pulled the dogs off and let the lion go. For me and the people I hunt with, we like to see the dogs work a track, tree a lion and then take pictures of the lions and the dogs. 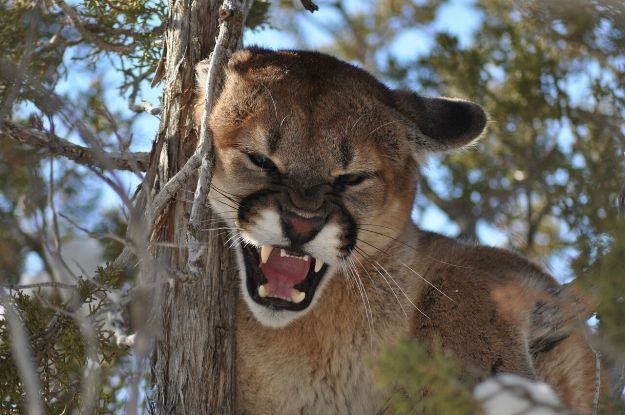 Another advantage to hunting mountain lions is that we can hunt from the end of October to the first of June. Some parts of the state allow a somewhat longer hunting season. After that second hunt where I got to photograph a lion, I decided lion hunting was something I really wanted to do. I had a friend who had a hound he didn’t want. He said that the hound had already been hunting lions. I had a pair of snowshoes that I didn’t wear very often, so I traded him the snowshoes for the hound. The dog’s name was Annie, and she was 2 years old when I got her. I was able to acquire two more dogs that summer, and when lion season arrived, I started hunting with Doug. Doug and I became really good friends and spent a lot of time hunting together. Back then, we only could hunt two days a week because we had to work. We would go out into the mountains early in the morning and start hunting when there was light enough to see a mountain lion track in the snow. If we found a track, we’d try to determine how fresh the track was. Then we’d turn the dogs loose and let them run the track. Once I got some better hounds we could hunt, we’d just start walking when there wasn’t snow in the mountains. We’d let the dogs see if they could find a track, and we’d either strike a cat or we wouldn’t. We don’t ride horses anymore. Most of the time, we take ATVs or we walk to keep up with the dogs. 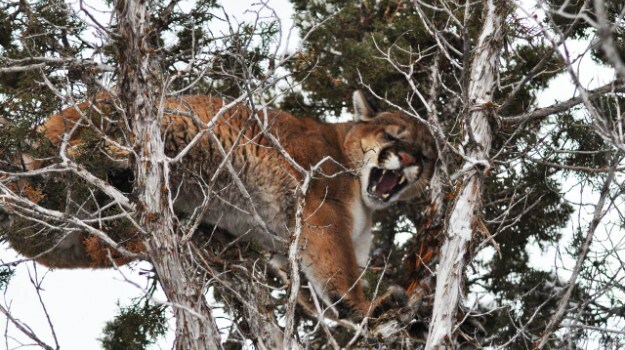 Mountain lion hunting can get rather exciting. Mossy Oak Capture Digital Productions is certainly honored to present a new digital mini-series titled “Honor,” that's debuting Memorial Day. The purpose of “Honor” is to acknowledge the service men and women of this great country and tell their stories of heroism, bravery, and humility. That particular trip out West goes down as one of my best trips even though I didn’t tag an animal. So always try to keep things in perspective when you travel out of state on a hunt. Try to always look at the trip as the adventure; tagging an animal is the cherry on top.